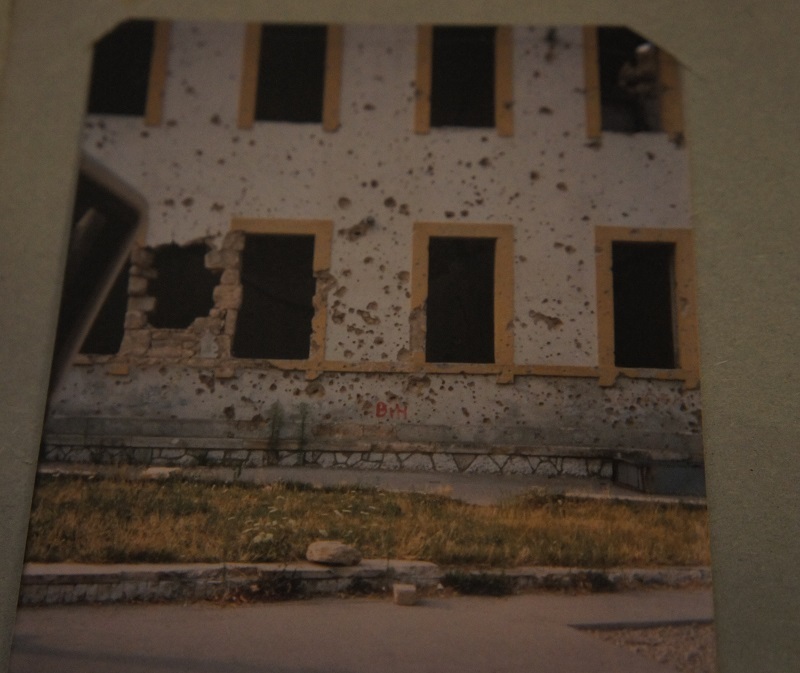 I was in Bosnia in 1995. Many of the images I saw burnt into my teenage memory. Some of them are not on film because I did not feel comfortable taking pictures of people with missing limbs or shells of buildings where folk were still living or 16-year old lads drinking the night away in advance of being called up, their hair prematurely greying in the loud, warm summer evenings. 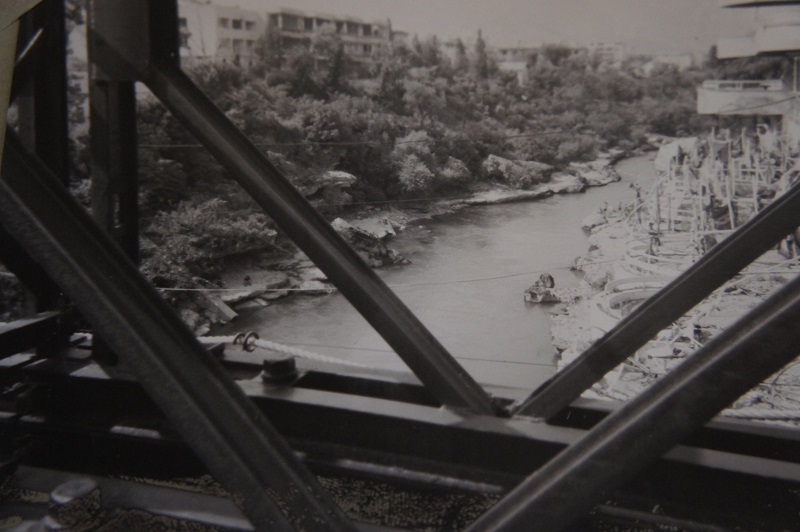 Stari Most, the old bridge connecting the Croats and Muslims in Mostar had been felled and a rickety footbridge was hanging in its place. 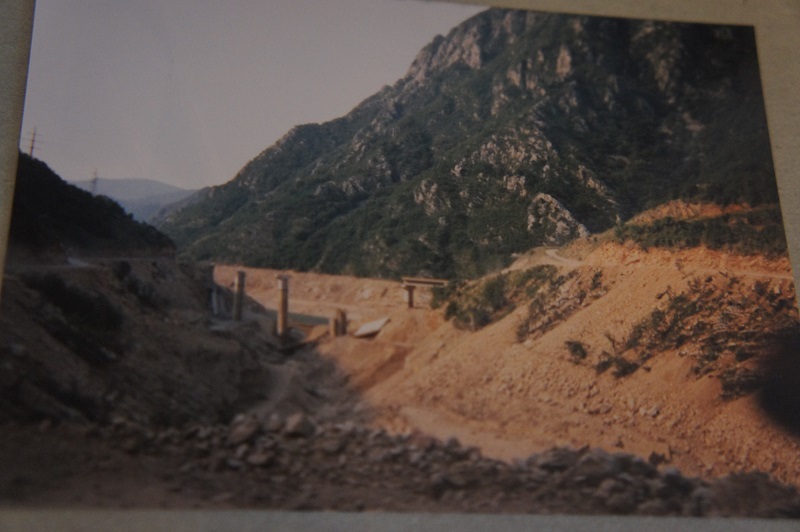 Elsewhere British army engineers had erected a functional bailey bridge high over the azure waters of the Neretva. Broken bridges everywhere were symbols of broken ties and hasty solutions. One of the camps I was involved in running was for Muslim boys who couldn’t get permission to come to our coastal camps in Croatia. 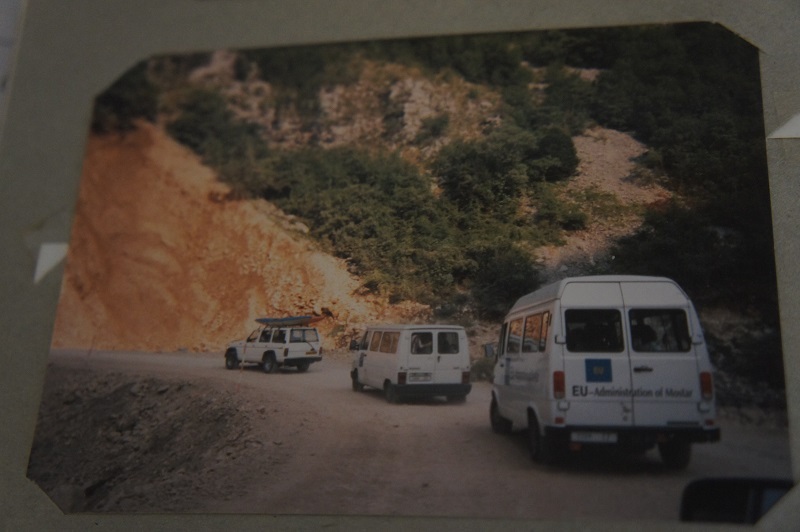 We took them deeper into the hills, in convoys of white vans and buses which looked like lines of UNHCR vehicles, to a place called Drežnica where they could run, swim and play football. On the way, we passed a bridge we couldn’t cross. 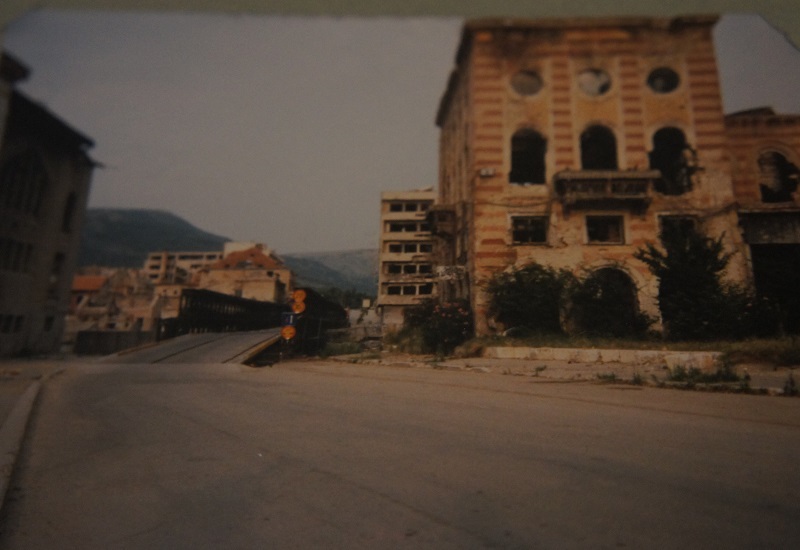 It had been bombed as it linked Sarajevo with Mostar. The supply of arms was limited to trekking around the hairpin pass, taking pack animals with bullets and guns to the capital between minefields and through green hills scratched with grey. The delays were significant on the unmade road with steep sides. The camps in Drežnica were wonderful, thirsty and sporty and meant relying on our resources. Piling into a broken school when the rain came. 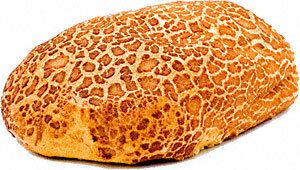 Giving out half-loaves to greedy boys with a slice of warm cheese and a large runny tomato. Learning – very quickly – the words for danger! mines on the bridge – get off the bridge! which still come back to me. The only original bridge I’d seen in the country, and it had mines on it. How utterly cruel. We were kept safe. But the image joined the growing collection in my mind. I was reminded of these Bosnian bridges very recently. I had been chatting to a friend and thinking about how I like controlling all kinds of details in my life and that perhaps there were new things on the horizon. Having been ill has given me a new perspective on a few areas, including blessing, trust, direction and purpose. I was thinking about how I like to go the long way around, like the unmade track to Drežnica, to get somewhere which I could have got with a lot less stress and hassle if I had only trusted that the bridge there was safe and strong and direct. 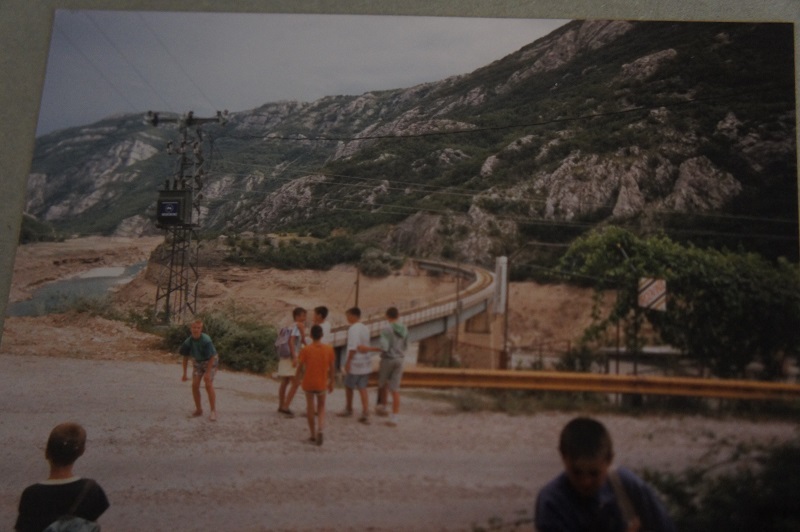 I had revisited that road a few years afterwards and found that the bridge on the road to Sarajevo had been mended and the journey was considerably easier and shorter. There was no danger. In my life I prefer to assess thoroughly and exhaustively. I plan. I research. I study. I find myself on that unmade road time and time again. And God has been saying Trust Me with everything. There is nothing you cannot trust me with. Over and over again. The bridge of trust cuts out so much worry and stress. It is direct. It is safe. It is fast. It involves submission. REALLY GREAT IN MATTHEW’S LIFE. Yes. Along with a nagging feeling that I was going to be ill and not enjoy it or the changes it involved (which came on months later), I had a burning feeling that God was going to do something significant for my husband. Something that meant I would have to learn to stop being a control freak, Something that might even involve becoming a trust freak. To love my husband so much that his dreams and desires would be more important than I had ever allowed them to be. His desire to flex his career wings. His dream of moving onwards and upwards. His passion for us as a family. His interests. For some time we have talked of relocating. It has not been a clever time. Until, until. I presented my willingness to submit to Matthew’s needs and be up for relocating and he lit up. He could see the logic in looking into this now. Joe is not yet at school and we could make arrangements in good time. Lily has a wonderful teacher this year but as time goes on will benefit from more challenges. I want to be able to access theological libraries on a frequent basis, for a book I am writing. We want to cycle. We are at an age and a financial position to be able to do this, before we get too much older. We would be nearer many people and not too distant from those we love here. So we are progressing along a path of trust and discovering God’s hand at work in details we could not have imagined or hoped for. The view is extraordinary. The journey is less dangerous and slow than we’d expected. The bridge is safe. There is nothing we cannot trust God with. I am finding renewed strength in taking each step one at a time – it is far easier than controlling it all myself and far more exciting. We love where we live now. We love our friends. We would not choose to move out of any sense of running away. We also feel compelled to take steps towards this new opportunity and unwrap the gifts God has for us and any way in which he wants to use us in a new place. I cannot get that image out of my mind. This entry was posted in Adventures in Depression, God, Husband, Joseph, Lily, Me. Bookmark the permalink.